The My Career mode in NBA 2K17 comes with some really nice additions and improvements over the previous years’ games, including the Dual Player controls and new training/life sim features like the Doing Work feature. But even so, the core game is the same and the challenge rests on your shoulders to turn My Player (Your Player, actually) into an All Star. 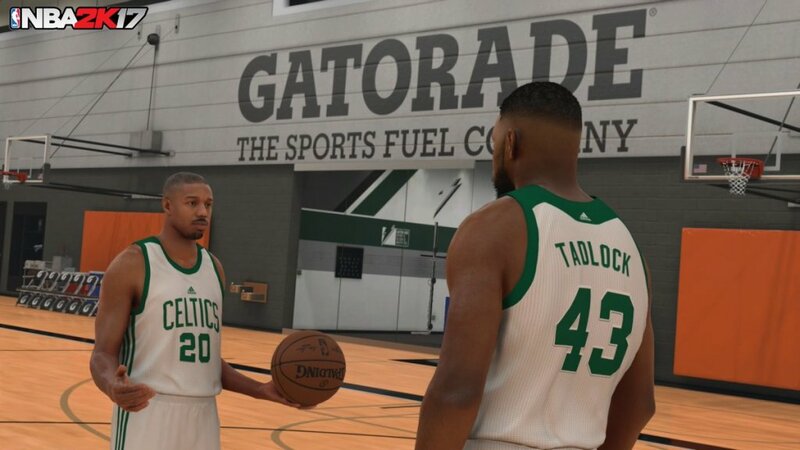 As always, you have to start small in NBA 2k17 and work your way up to the Hall of Fame. And we’re here to help you achieve that faster than others with a complete guide to the NBA 2K17 My Career: tips & tricks! So let’s not waste a single second and let’s see what can be done to score those constant A and A+ grades after each game and get MyPlayer to the top! This year sees an even better improvement on the game’s player creating mechanics and the choices you make early on in the game, when creating My Player, will basically decide the path you’ll follow. That’s happening mostly thanks to the new Badges the game has and the fact that you choose an Archetype when you create your player, having the options to turn those badges into Hall of Fame ones. In other words, player specialization is the key and knowing exactly what you want to do (score a ton of threes, be a great playmaker, rule like a king near the hoop) matters a lot. So create a player that fits your playing style and make sure to pay attention to height reported to your player’s position: a player that’s too tall might not be as good, just as one that’s too short won’t do much either. Find the perfect balance and focus on developing your player! Although many people don’t really care about the Dual Player controls in the game and they decide to completely ignore the new feature, don’t be one of them! You can increase your team’s and player’s performance greatly by taking the time to master the dual player controls. This is basically an assist-making machine, so it’s not something that you should ignore. Master the Dual Player Controls and your path to glory will be a lot easier! This year, there’s an interesting feature in the NBA 2K17 that allows you to create your own custom jumpshots and many people are doing that, with many people doing that wrong. Although it’s true that getting those flashy moves and styles that you like seeing on the court is important, what matters more is getting the moves that make it easier for you to play, score and basically perform better. Choose the clear moves, the fast moves that have little animation because they make everything easier. When it comes to shooting, go for shots that are easy to control, like Kobe’s three point throw which is basically a two-step shot, which makes it even easier for you to release the ball at the perfect time. Few people realize how important the moves of your player are in the game – but once you get the hang of this and see that some animations are actually better than others, you will bring your player to a whole new level! If you’re playing a PG just like most of the people playing the game, it makes little sense to focus improving your standing dunk and rebound attributes. Just following in the footsteps of tip #1, you should pay close attention to the attributes you upgrade early on and focus on those that are required for the position you’re playing and your style of play. I personally recommend focusing first on physical stats and scoring stats, upgrading them in turns until you are satisfied with this, and only afterwards go for other attributes to upgrade. Also, you should pay close attention to the badges this year and, knowing the requirements for each, try to get them as soon as possible in order to improve your game even more. Check out our badges guide and focus on getting those – even though in most cases, it won’t be easy. Tip: playing on Rookie makes it a lot easier to grab the Badges, even though the game will be unbearably easy. 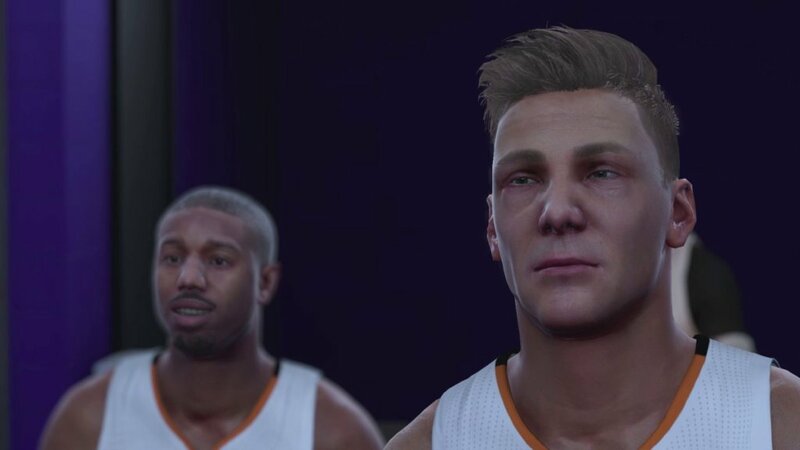 2K Sports is trying to make the game a real basketball simulation and every year they bring in new features and mechanics to force you to do so. Being the one who holds the ball forever and tries to score off every attack won’t do you any good: instead, try to play for the team and pass the ball around, help your fellow teammates in both offense and defense and don’t ask for the pass back as soon as you pass it. Things are even easier this year with the Orange Juice feature, since you can quickly and easily increase your teammate rating while still feeling that you’re an active part of the game. In the end, remember that it’s your rating at the end of the game that matters the most and it’s usually better to end a game with 15 points and an A+ teammate grade rather than 30 points and a B-. What other tips and tricks would you have for fellow NBA 2K17 players who want to get the most out of MyCareer and My Player? Let us know by commenting below!